The first ever JD Power UK Vehicle Dependability Study has found that Skoda makes the most dependable vehicles. 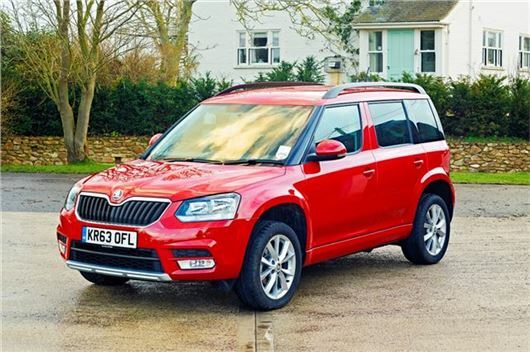 Measuring dependability based on problems experienced by owners over the last 12 months, Skoda has trumped Kia, Suzuki, Nissan and Toyota, who finished 2nd to 5th in that order. The study only looked at cars whose drivers had owned them for one to three years, and separated problems in to eight categories, including engine and transmission, car exterior, interior, controls/media/navigation, seats, and ventilation. In all, 177 specific problems or symptoms were identified, with each manufacturer's score based on the number of problems its models suffered per 100 cars. A lower score, therefore, is an indicator of higher quality. Skoda came out on top with 77 problems per 100 cars, while at the bottom is Chevrolet with a whopping 288. BMW is the worst ranked premium manufacturer, and third-bottom overall with 196 problems. In contrast, Mercedes-Benz tops the premium charts, with 88 problems. SEAT and Peugeot both have 99 problems – and a glitch is one. Probably anyway, because JD Power found that five of the top 11 problems relate to technology – audio, communication, entertainment and navigation, that is. Excessive fuel consumption is a major bugbear too – and a key factor in determining whether an owner would choose the same brand of car again. The single most cited problem is phone connectivity issues with Bluetooth hands-free systems. Interestingly, while Skoda ranks top overall, none of its specific models perform best in any of the segment categories – but every one performs better than the industry average. The Suzuki Alto topped the city car class, the Mercedes-Benz E-Class the luxury car category, and the Kia Cee'd the family hatchback poll. It’s bad news for premium car owners in general, with those marques averaging 155 problems per 100 cars, while mainstream models average a significantly lower 103. Electrical issues abound in the tech-heavy premium segment, with owners reporting 26 problems per car, compared to 15 per car in the mainstream. Owners were also asked to rate both the severity of their problems (on a scale of one to five), and how satisfied they are with their car. Seven of ten of the most severe problems are in the engine and transmission category, with the other two relating to a poor driving experience. Excessive fuel consumption is a major bugbear too – and a key factor in determining whether an owner would choose the same brand of car again. Only two in ten who reported high consumption would buy from the same brand again, while of those that were happy with their economy, four in ten said they’d give their brand repeat custom. The survey gathered the results of 13,451 respondents who’d bought their car between April 2012 and March 2014.